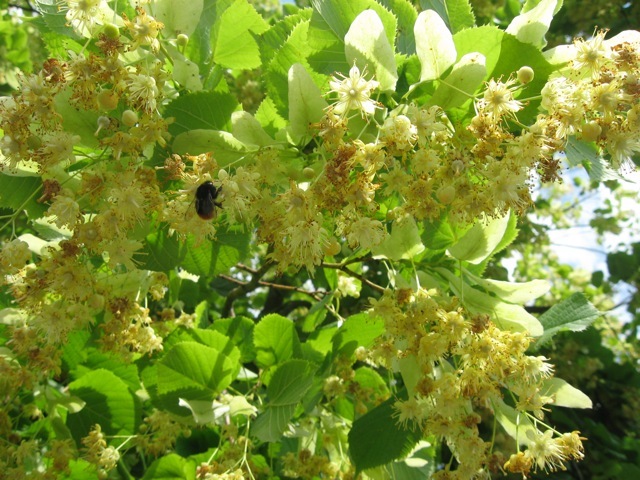 Medicinal properties of linden tree which has more than 40 varieties and is widespread in Europe, Asia and eastern North America. Most beneficial to the human body color of linden tree. In folk medicine used for centuries for the treatment of various diseases because of the antimicrobial, anti-inflammatory and diuretic properties. Linden tree has a healing effect as the body reinforces its row nutrients it contains. The colors contain about 0.06% essential oil tilirozid (a derivative of kaempferol and p-coumaric acid) and flavonoids. 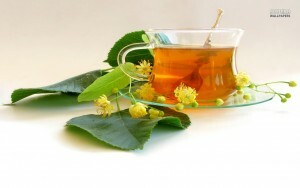 In the form of tea linden tree is used to treat throat problems, urinary tract infection, fever and respiratory problems. With pain in his throat, do inhalations with linden tea. With 200 milliliters of boiling water pour a cup lime blossom. The mixture boil with lid for 10 minutes, strain and add 1 teaspoon of baking soda. At high temperature to make tea and lime. In 1 cup of water pour 1 tablespoon of lime blossom. The mixture was covered with a lid and allowed to boil water bath for 15 minutes. The mixture is filtered immediately and make up less than boiling water. The aim is to get a cup of tea. Drink tea immediately. High temperature can drink this tea three times daily. Note that lime tea can have a diuretic effect. Decoction lime can be applied externally for burns, skin rashes, joint pain and inflamed hemorrhoidal nodes. For external use a decoction is made of 100 grams of lime blossom and 2 liters of water. With the potion can make compresses.